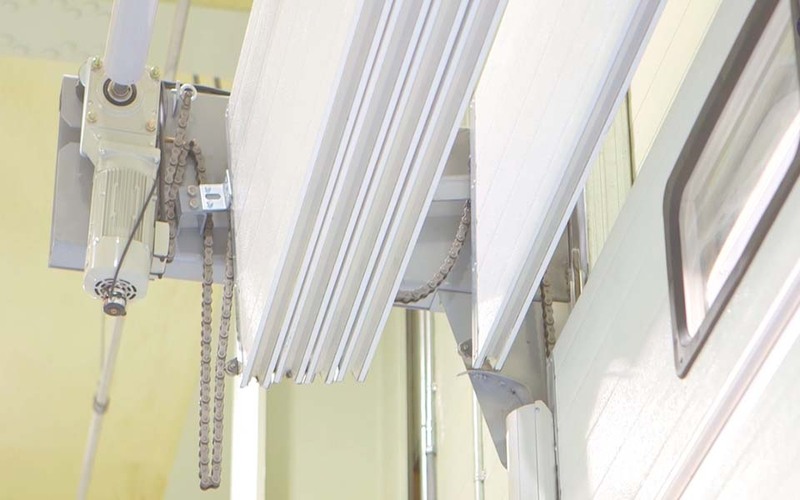 With its speed door motor, the door can be opened and closed 3 times faster than conventional overhead door. With the minimal storage space of the panel, this door has minimal interfere with ceiling light, pipe, crane, and others. based on the spring package right above door. spring package is installed high over door. an opened door without any obstacle of horizontal track. a high-rise vehicle needs to pass through. 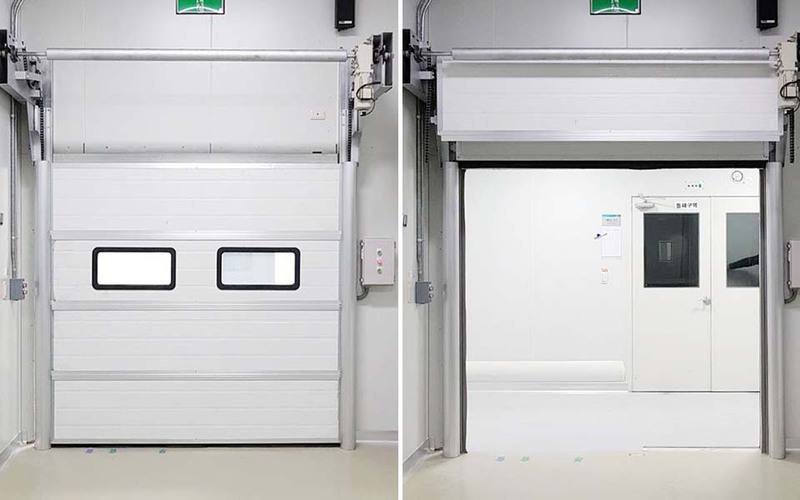 – The space between door opening and ceiling does not need more than 265mm.